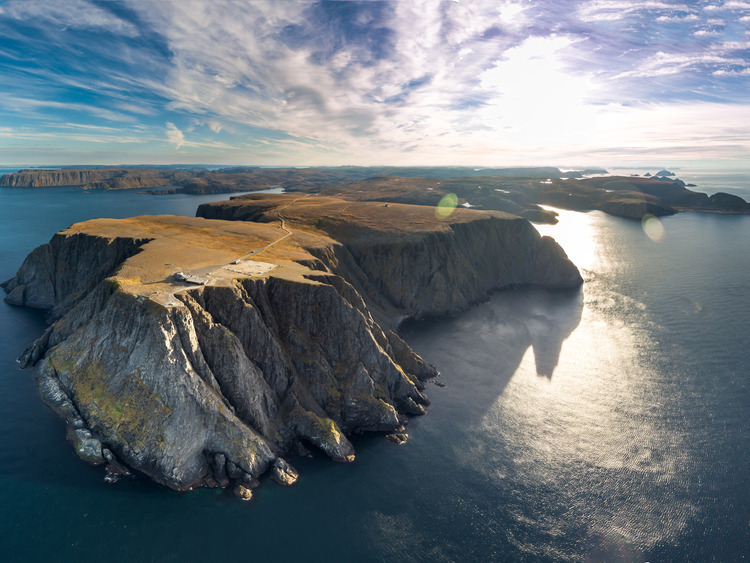 A thrilling helicopter tour to discover the beauty of the northernmost European scenery flying over North Cape, the coast with its fjords and the islands. Our adventure begins at Honningsvåg port where, after a short walk, we will reach the helipad. We board a helicopter and set off over the magnificent Norwegian landscape, offering spectacular views of the ocean, coast and main sights along the way. Fantastic panoramas glide by below us: Honningsvåg with its port, the jagged coast dotted with lakes and Cape North promontory with its famous Globe, a large iron sculpture representing the world. With its cliff dropping into the sea, Cape North is considered the northernmost tip of Europe even though the record actually belongs to Knivskjellodden, a lengthy promontory that gently slopes down towards the sea and visible from our helicopter. We then head West and fly over the famous island of Gjesværstappan, a true sanctuary for marine birds including puffins, cormorants, razorbills and white-tailed eagles. We continue towards the village of Kjelvik, once the region’s administrative centre and now a holiday destination after being destroyed during the Second World War. From here, we return to Honningsvåg. In the event of inclement weather, the views might be compromised. Maximum weight per passenger: 120 kg. To access the helicopter, guests need to lift themselves on a high step, the excursion is therefore not recommended for guests with mobility problems. The helicopter can take a maximum of 4 passengers. Seats are assigned by the pilot. Not all seats are near a window, though good visibility is guaranteed. During the tour, information will be provided in English only. Clothing that is appropriate to the weather conditions of the day is recommended.